Fits 242 - 467mm outside of bars. 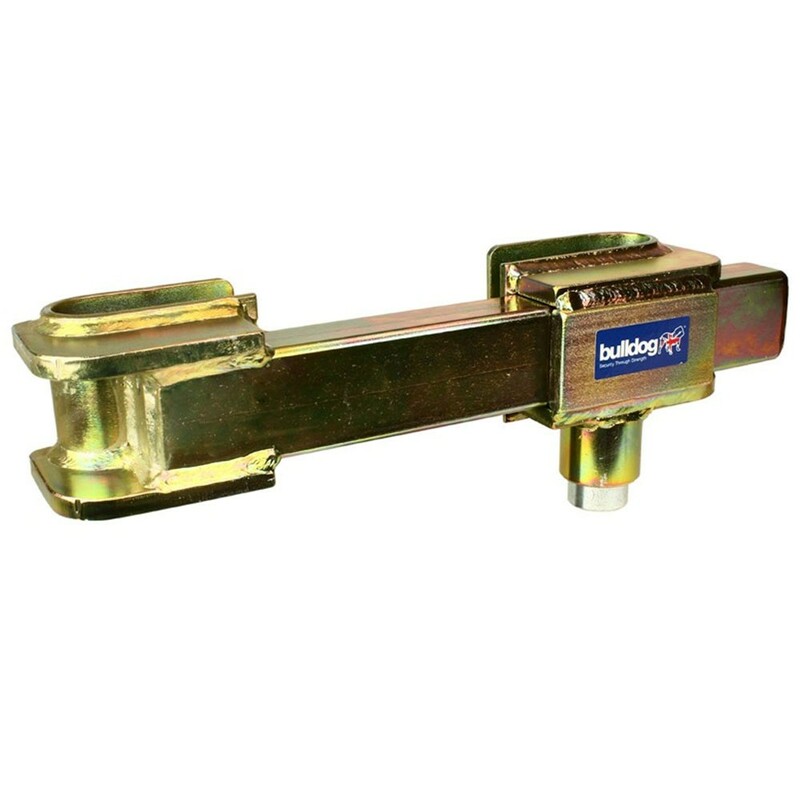 Bulldog CT440 Container Lock can be moved from container to container and utilises Bulldog's Super Lock Bolt. Hooks, 100mm wide x 6mm thick, re-inforced near ends with 12mm thick ribs. No padlock, utilises Bulldog’s unique Lock Bolt, with drill and pick resistant lock with 9 radial pins. Main slider tube constructed from 60 x 40mm hollow section 5mm wall thickness. Case hardened to 746 VPN (60 Rockwell). A minimum clearance of 6mm is required between container door and rear of door bar. British manufactured and sold with Bulldog 5 year Guarantee.